Louis’s “Veils” are mostly dark, offering only glimpses of the vivid colors they contain. The work in the de Looper show is brighter and more immediate. 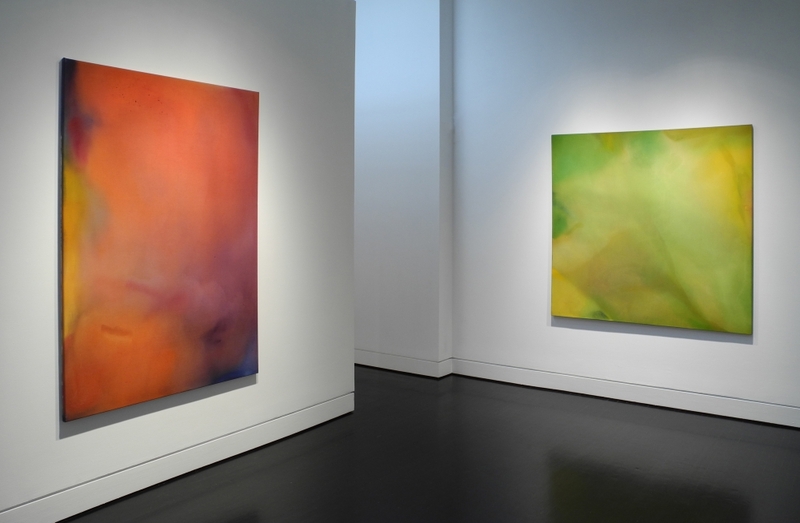 All four paintings (originally shown at the Jefferson Place Gallery, another Color School landmark) are keyed to a single hue yet encompass many others. They’re all-over paintings, without the areas of blank canvas common in the work of de Looper’s predecessors. The effect is fluid and enveloping, with a sense of depth and movement. The ideology of late-’50s “post-painterly abstraction” is fading in these pictures, yielding to a more sensuous outlook.